The raw edges are different lengths. But what you're really joining together are the stitching lines, 15mm (5/8in) inside the raw edges. 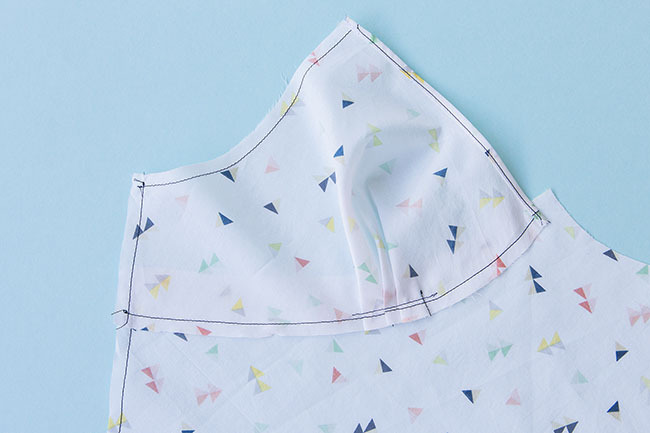 If you overlap the pieces 30mm (1 1/4in) to account for both seam allowances, lining up the neckline with the inner corner at centre front, you'll find that the pieces do match up. Or at least they should do if you've cut them out and sewn the pleats and neckline accurately! It can be fiddly to attach seams together when the raw edge on one curve is shorter than the other. Often you can simply clip into the seam allowance of the curve with the shorter edge (in this case the top of the front bodice). 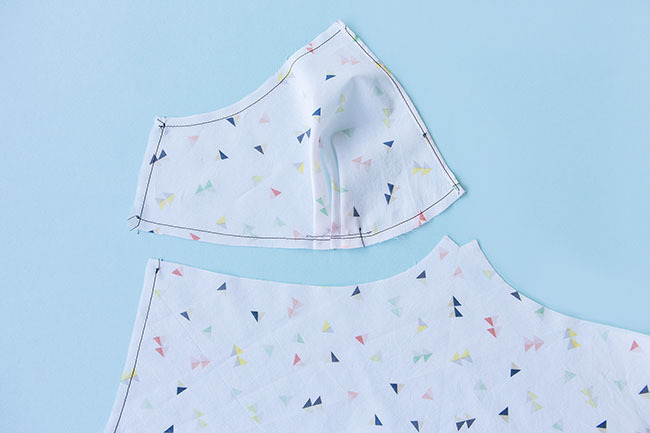 However, because we're sewing delicate French seams here, cutting up the seam allowance will make it all a bit messy. 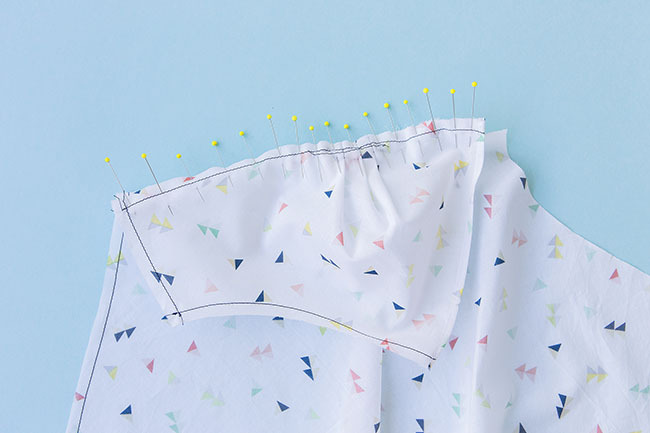 Instead, start by pinning the pieces together at the corners and the notches, so you have some accurate starting points, then gently stretch the seam allowance on the bodice (the instructions don't ask you to stay stitch this seam because it makes this sooo much harder to do), at the same time as you carefully ease the fabric on the cup seam allowance so you can pin the stitching lines together. I find it helps to have the cup on top, with an imaginary mound underneath the bodice creating a curve that both pieces are bending over. Ooh and use plenty of pins! 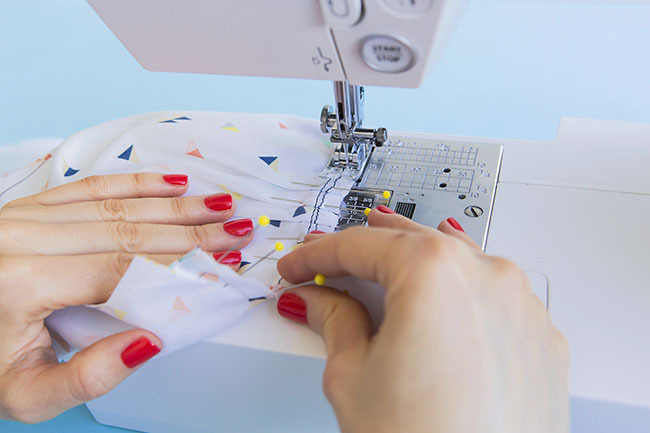 The seam allowance on the cup will look like it's rippling a little - but the actual seam line, 15mm (5/8in) inside the raw edge, should be nice and neat, pinned flat against the bodice seam line. 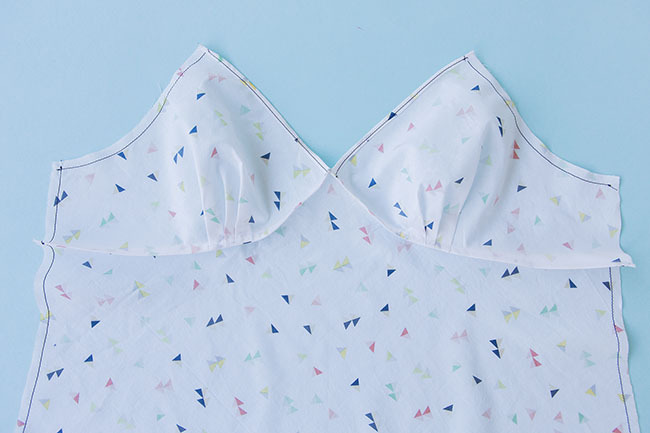 Carefully sew them together, and they should look something like this. Perfecto! Ready for the next steps.